Note: A shorter version of this article first appeared in the March 27, 2019 edition of the Outer Banks Sentinel. When Julie was a senior at First Flight High School, she was ready for college. Ranked near the top of her class, Julie had spent her high school career building her résumé. Julie had it all: great grades, varsity athletics, school clubs, good SAT scores. Julie was admitted into a prestigious university, and was promised financial aid, including some federal loans, and a merit-based scholarship from her school. But her financial aid package didn’t cover everything, so Julie dedicated herself to applying for a dozen or more local scholarships. And it seemed to pay off: Julie won a $2,000 scholarship from an organization here in Dare County. Now, imagine Julie’s shock when she watched her local scholarship virtually disappear. Upon receiving Julie’s $2,000 award, rather than reducing her tuition bill or her student loan debt, Julie’s university instead subtracted the $2,000 from her college scholarship, deciding, I suppose, that she no longer needed that money. To Julie, it’s as if she received no benefit at all from the local scholarship she had earned. I wish I could tell you that Julie is entirely fictional, or that this student’s experience was a rare aberration or an honest mistake. But Julie is based on a real student from Dare County, and this insidious practice happens all the time. In fact, it is so common that it has a name: scholarship displacement. Let’s say a student is promised financial assistance from a college, then receives a private scholarship from some entity outside the college. Scholarship displacement is when the college reduces that student’s financial assistance by the amount of that new scholarship, rather than adding the scholarship to the student’s aid package. Infuriating, right? To be clear, this doesn’t always happen, and it never has to happen. When a student receives a local scholarship, colleges have a lot of discretion in how they handle that outside money. This is true even when the student is receiving federal, need-based financial aid. Ideally, a college will accept a local scholarship and use it to reduce the student’s loans, or the student’s so-called “unmet need” (which s/he must pay out of pocket), and many colleges do just that. But other colleges — unless instructed otherwise — will instead take that local scholarship and reduce their own awards commensurately. Just how many schools do it? One in five, according to the National Scholarship Providers Association, based on a 2011 survey of 100 four-year schools. How is this justified? Well, if Julie receives $2,000 in private money, the argument goes, Julie’s financial need is now $2,000 less. University officials might tell you that scholarship displacement allows them to re-distribute financial aid more fairly to students with greater need. The problem is, Julie’s scholarship was earned by her, based on her diligence and her credentials. 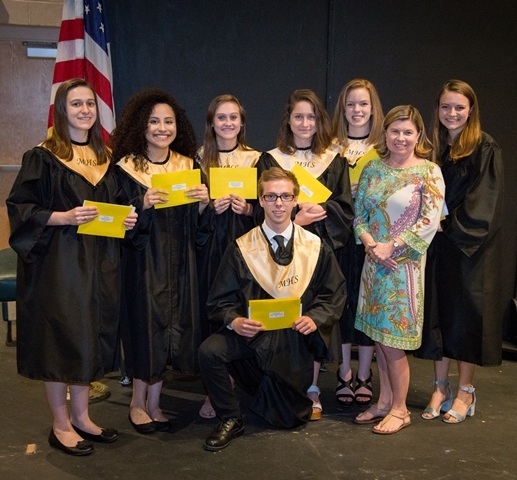 Our community gave away $500,000 in scholarships to Dare County seniors last year; those hard-earned funds were intended to help Dare County students. To me, it is a violation of the donor’s gift for a university to unilaterally use that money for another purpose. To students like Julie, it is unfair for a university to reduce a scholarship that was already promised to them. As the largest scholarship provider in Dare County, the Outer Banks Community Foundation has been fighting displacement for years — I believe with great success. After working with hundreds of students, tracking their scholarships, reading the research, and speaking with dozens of public and private schools from across the state, my colleagues and I have learned a few strategies. Here are our recommendations for both students and local scholarship providers to ensure that your money is not displaced. Students: First and foremost, please don’t let potential displacement dissuade you from applying for local scholarships, because you absolutely can take steps to prevent scholarship displacement. It just takes a little self-advocacy. If you receive financial aid from your college, study and save your financial aid award letter. These letters are often very confusing, so call your financial aid officer, and ask him or her to explain each component of your aid package to you. Learn which funds are loans that you must eventually pay back, and which funds are grants or scholarships that you do not pay back. Of those scholarships, ask which ones are based on need, which ones are based on merit, and which ones are guaranteed across all semesters. Then, if you receive any local scholarships, from the Community Foundation or anyone else, you should receive another, modified financial aid statement, or just a final bill. Compare that new information to your original award letter, and make sure that your local scholarship dollars are not used to reduce any grants or scholarships from your original aid package. Those local dollars should only be reducing your loans, work study, or any unmet need. If your school tries to reduce your scholarships or grants because of a local award, call your financial aid office and politely ask them to fix it. For example, see if your college will defer or spread out your local scholarships to future several semesters or years, or see if they’ll let you use your local scholarship to pay for a computer, books, supplies, transportation costs, or housing. Scholarship Providers: There are several written conditions you should send to your students’ schools along with your scholarship checks to ensure that your funds benefit your recipients. For example, you should explicitly instruct the schools to use your funds only to reduce your students’ loans, work study, or unmet need — or else return the money to you if that is not possible. For a sample letter, please click here. Even if your student has an “overaward” in his or her first year, it’s possible that s/he will need it the next year when other scholarships expire, so please consider holding your money for him or her, and resending it to his/her college in a year. By the way, scholarship providers, you may be wondering whether you can bypass displacement by simply sending the scholarship money directly to your students instead of to their schools. Unfortunately, that strategy won’t help matters, because students are still required to report all of their outside scholarships to their universities, even if they receive the money directly. Also, by sending your money to the students’ schools, you are more likely to get the money back if the student leaves school for any reason. Finally, by sending the scholarship to the school, it becomes the university’s responsibility to complete any 1099 forms as needed if the student needs to report the scholarship as taxable income. A new law in Maryland bans public colleges from reducing their financial support when a student receives a private scholarship. Perhaps North Carolina will follow suit. We know that a college education can change a person’s life, and local scholarships can make that possible. With the cost of college rising each year, let’s make sure our students reap every penny they earn.